I have talked before about what HUGE Wubbzy fans my boys are. I thought when they got older (now 7 and 8) that they would be too old for it..but the truth is, they ask to watch it everyday. I really like the Wow Wow Wubbzy Best Of Colletion because it gives them all their favorites on each DVD. Their favorite one so far is the Best of Wubbzy, but best of Widget comes in a close second. 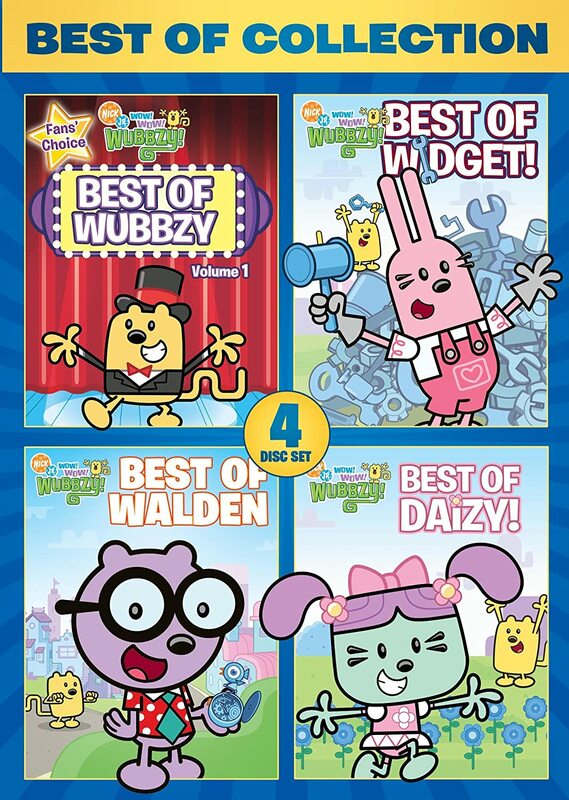 With 4 DVD's and 280 minutes of Wubbzy fun, you can't go wrong! Join Wubbzy and all of his Wuzzleburg friends in the biggest and best Wubbzy collection ever! Widget is the busiest builder and fix-it whiz, Walden knows all about science and art, Daizy is the sweet girly-girl next door and Wubbzy is the fun, lovable and curious little guy who is always looking to play, play, play! It's the ultimate Wubb-fest with 28 total episodes and over 4 ½ hours of fun, plus plenty of singing, dancing, coloring & activity sheets and more! One reader is going to WINa copy of their own! Enter using the rafflecopter form below..GOOD LUCK!! My child's favorite Wow Wow Wubbzy character is Daizy. Thanks for the giveaway! My girls like Daizy the best.